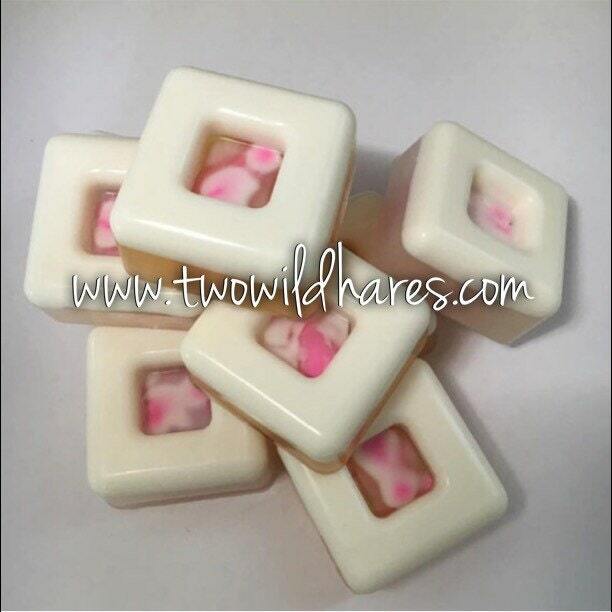 This Rimmed Cube Massage Bar mold is perfect for lotion bars or massage bar soaps. 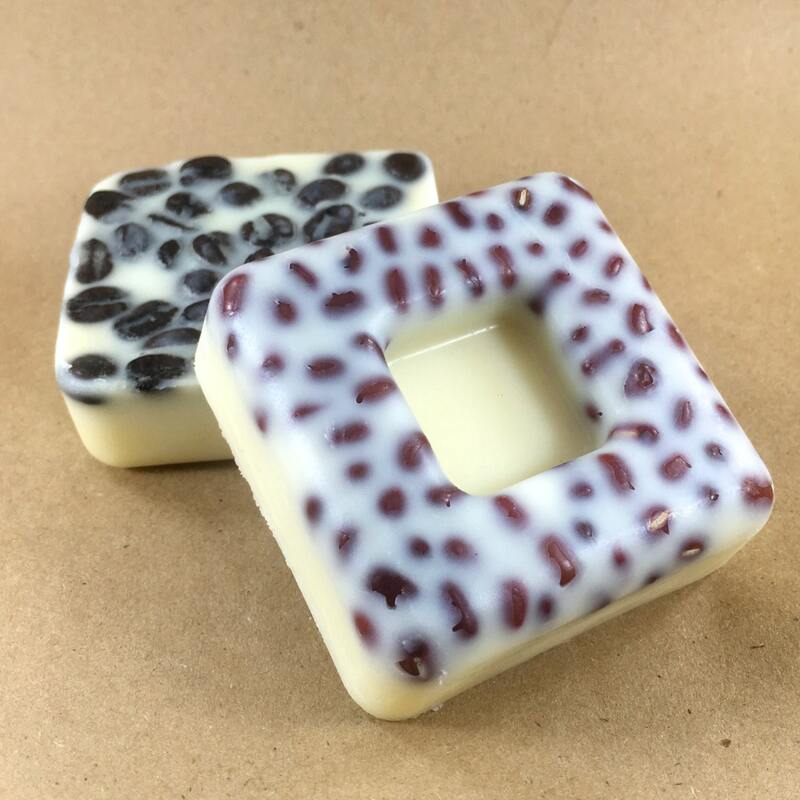 It is a perfect size for jellies too. 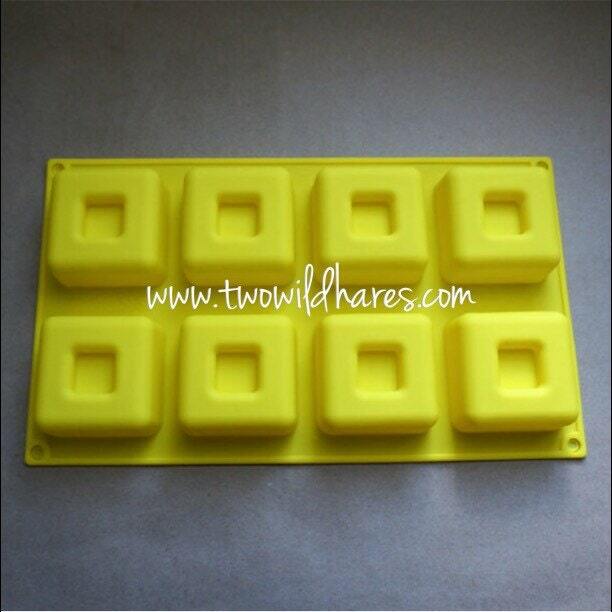 Each cavity holds 3 oz, with 8 total, so 24 oz per mold. Each cavity is 2 3/8" square by 1 1/4" deep. 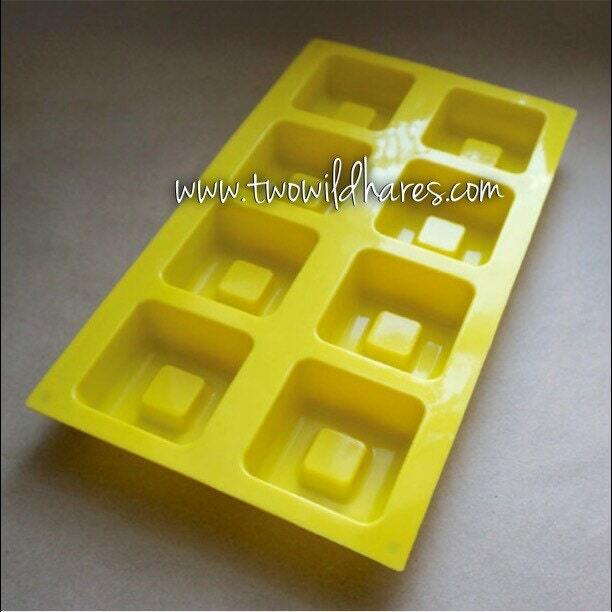 This mold is microwave & freezer safe, made with food grade silicone. 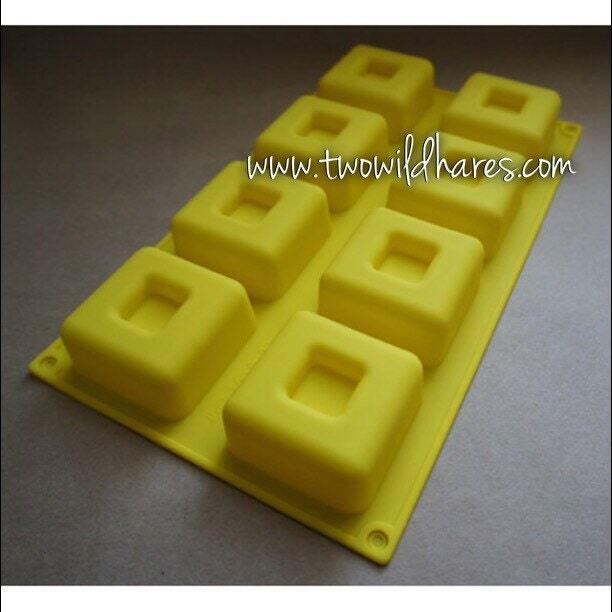 It’s reusable & nonstick, easy to use & clean. Temperature range is -40F to 446F. Just wash with warm soapy water to clean it between uses. It comes in a variety of colors which will be sent randomly. Products unmold smoothly & easily.